Fixed a bug on "4Decks in Line" view where Rhythm section was showing only 2 deck waveforms. 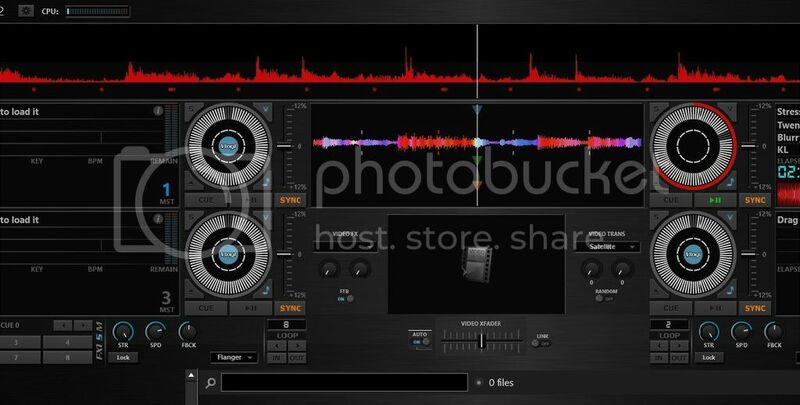 Added new central panel "Scratch Video" on 4 Decks Swap view. Added new central panel "Video Full"
Nice update of the skin! I see that you have add a "Freestyler controller" in the Top Bar menu. Is it possible to even add "The lighting controller" for Showxpress? When the central panel is showing the sideview, if I select the sampler in the main browser sideview tab, then change the sampler view between pads and list, the central panel does not switch, it only shows the list view of samples. Is this a bug? Awesome skin!!!! Continue to do amazing things! How do you access that view? lastimosamente creo que no me sirvio esta vercion en especial los fx en decks le doy a layout y solo me aparece 2 decs ni compact ni ecential y pues no puedo elegir ni los fx ni tampoco puedo usar los pads en controller elegia sz aunque lo que uso es una torqxponent y me funcionaba muy bien en la 2 pero en esta no puedo ni pasar a los cue o roll slicer o sampler si me pudieran ayudar con esto estaria muy agradecido saludos! 2. A veces me da problemas de la funcion filter se descativa y no hay como avtiarlo nuevamente y no se a que se debe eso. This is my favorite skin, can you add the beat counter to the top bar? how to add a logo to the jog wheel?